We believe our clients are best served by integrating the primary financial professionals in their lives. Together our family of companies provides our clients with CPAs, tax professionals, attorneys, financial advisors, bookkeepers, insurance brokers, and business consultants. Please note, however, that not all professionals maintain all of these licenses. Carefully take note of our respective professional licenses, or ask for clarification, when engaging any professional in our firm. Our goal is to never mislead our clients or prospective clients. Robert (“Bob”) is founder of R.C. Acosta & Associates, CPAs, the accounting arm of R.C. Acosta & Associates, CPAs. Bob entered the accounting profession in 1978 and began R.C. Acosta in 1986. 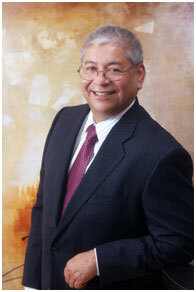 Bob was born and raised in Phoenix/Scottsdale, Arizona, and is a third generation Arizonan. Bob earned his undergraduate degree in Accounting from Arizona State University in 1979 and earned a Masters of Business Administration from ASU in 1983. Bob quickly rose to tax manager at Acosta, Cordova, and Pittman, a large Phoenix-based CPA firm, prior to founding RC Acosta & Associates in 1986. Bob’s practice is primarily focused on sophisticated tax and retirement planning for businesses and high net worth individuals. Bob also has extensive experience successfully battling the Internal Revenue Service. Bob’s many talents include maximizing tax savings strategies and solving complex problems with innovative thinking. Among his many accomplishments, during the real estate boom in the Valley Bob successfully designed, structured, and (later) defended several very large ESOP retirement plans created by some of Arizona’s most successful homebuilders. The ESOPs generated multi‐million dollar tax savings for the homebuilders, and, more importantly, withstood several tremendously motivated IRS agents. Bob and his wife Chris have been married 28 years and reside in Scottsdale. Works with the Board of Directors of the Arizona School Risk Retention Trust, Inc., Arizona School Alliance for Workers’ Compensation, Inc., Inc., and the School Construction Insurance Pool, Inc.